I ran out of my Maybelline Great Lash Lots of Lashes, so when I went to go pick up a new one I decided to try something new. 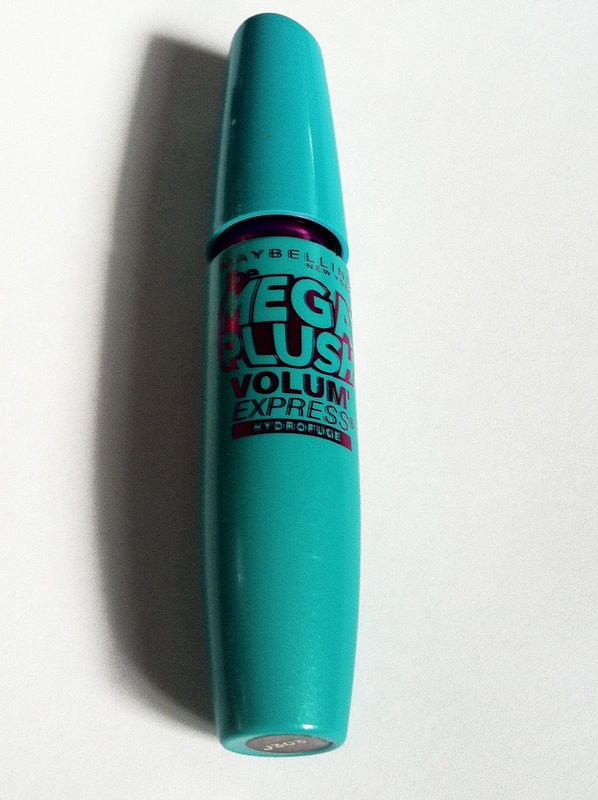 I've been reading a lot of reviews about the new Mega Plush ($5.96 CAD) mascara, and the gel mousse formula really bought me in. Maybelline is my HG brand for mascaras, I haven't tried a mascara that I didn't like. I usually don't buy the waterproof version since it's harder to take off, but through reading reviews I found that the non waterproof one smears to the lower lash making you look like a racoon so I decided to try the waterproof version for a change. Maybelline's first Gel-Mousse formula. Contains 40% less hard waxes for massive yet supple lashes. Our patented Flexor Brush gently coats every lash with supple volume. To use: For best results, apply the Flexor Brush against the lashes and sweep from root to tip until a full plush look is achieved. The brush has a "Flexor" part, and there are a combination of long and short bristles. 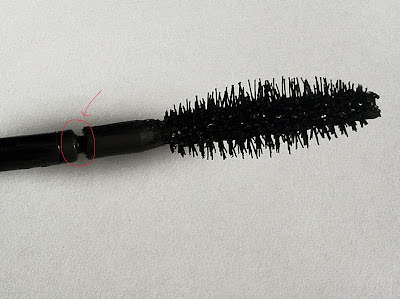 The middle part of the bristles are thick so that you get more volume in the middle of your lashes. Flexor part of the brush. 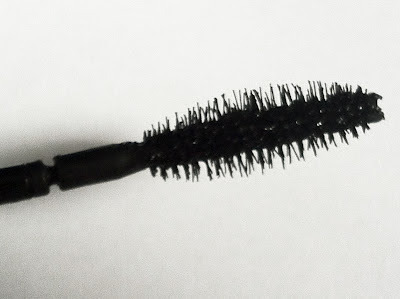 The "Flexor" part of the brush easily moves back and forth and bends which is supposed help you reach the lashes easily. The application of this mascara was a bit hard. The gel mousse formula feels so light that when I first started to brush it onto my lashes from root to tip I felt like there wasn't any product going onto my lashes. The Flexor brush is also a little too flexible, as I was applying it onto my lashes I found that the brush kept bouncing. I feet like I had not enough control, I was scared that they brush was going to bounce and poke me in the eye. I did two coats and curlled my lashes prior to applying the mascara. I usually see lengthening and voluming by this time but I had to curl my lashes again after the application of the mascara. (I know this is bad for your lashes, but it's a bad habit I haven't been able to stop). 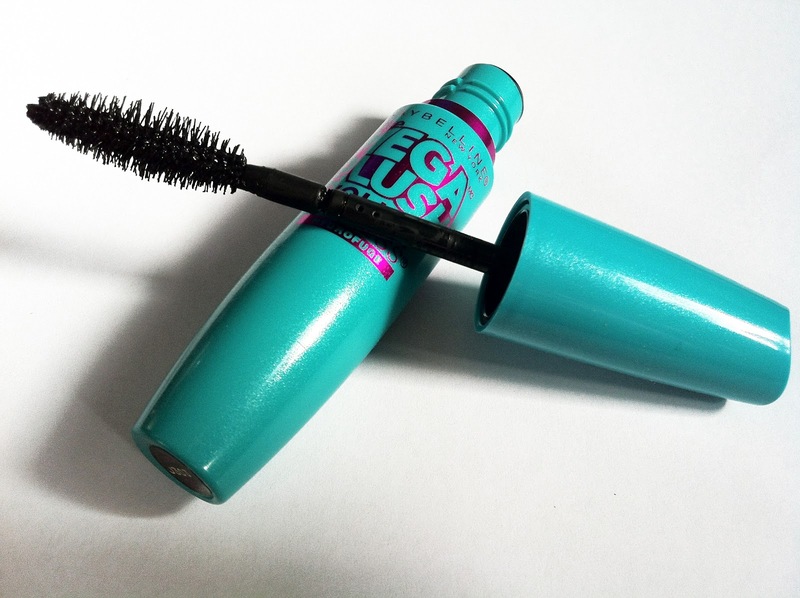 I didn't feel like this mascara gave me much volume as it claims. What I love about this mascara is how soft your lashes feel, this is probably because of the 40% less hard waxes. My lashes didn't feel hard, instead they felt like natural soft lashes.This mascara has been compared to Maybelline's discontinued mascara called Full N Soft, it used to be my favorite so I love that this mascara has the same feeling of the lashes. I don't like this mascara that much, it didn't really impress me. But I think it's perfect for those days when you just want natural looking lashes, because of how light and soft your lashes feel. I was expecting more with this mascara since I love many of the mascaras from the Volum' Express line. But I will be keeping it and like I said those days when I want to keep it natural I'll definitely be using this!